Established by Wireless Wizardry founder Kerry Pollock, Creative Entertainment Solutions (CES) is a new corporation that will continue to offer all products and services previously offered by Wireless Wizardry and much, much more. Professionals the world over have come to rely on CES for their unparalled service, support and quality. But don’t just take our word for it, check out the video testimonital by award winning magician and Creator of Experiances Giovanni Livera. CES is your one stop shop for custom built magic, illusions, gags and theatrical effects. Remote control technologies, robotics, software development, and custom mechanical and electronic devices are a few of our specialties. Be sure to check out our product catalog for a complete listing of our best selling magical effects such as D'Mug, Comedy Card in Balloon, and the Magic Poster as well as our new CES Platinum Series of effects which includes State of Mind and the Enchanted Bottle. Our best selling remote control audio systems MP3Tech and MediaStar and our ezDMX lighting control system will take the worry out of audio and lighting control for your show so you can concentrate on making your performance the best it can be. CES is also an authorized dealer for top of the line lighting and audio equipment from brands such as Chauvet, Shure, Anchor, Audio-Technica and Comtek. Contact us for discounted pricing and special package deals. As a full service custom game show production company, CES specializes in set production, custom software, professional hosts and customized scripts. Our staff of comedy writers has over 75 years of combined professional comedy writing experience. Our writers excel in creating material for the corporate market that is topical, relevant, clean and most importantly hilarious. Contact us to see what we can do for you. 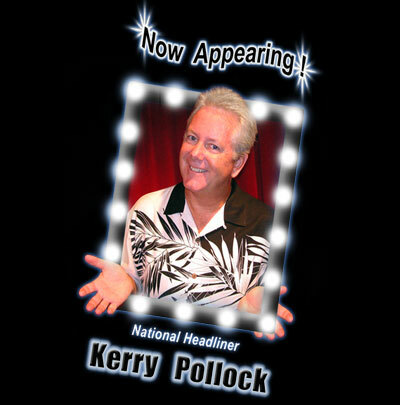 Kerry Pollock is a professional comedian / magician who has headlined resorts and casinos as well as corporate events throughout the country for over three decades. A former engineer, Kerry has combined his expertise in electronics with his showmanship to create props and illusions for top names such as Disney, Penn & Teller, David Copperfield, and Lance Burton among others. CES is also the home of Bonk, the high energy comedy game show full of trick questions, music, and non-stop audience participation. 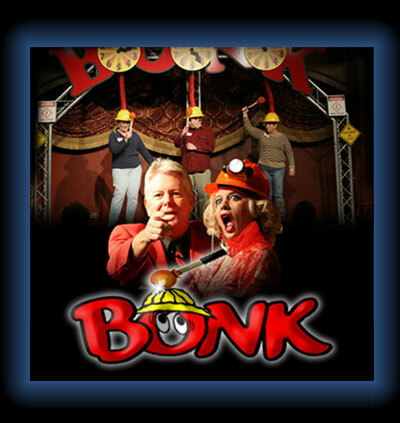 Bonk is a smash hit in Las Vegas and can be seen across America as well as internationally with franchises in Canada, Mexico and Germany. Visit www.bonkshow.com for more information. ©2013 Creative Entertainment Solutions Inc.